Posted on April 15, 2015 at 4:24 pm. Another week of the latest stories featured in our mash-up, once again. Pop on that kettle, kick up your feet and have a quick look at a few of the top stories from the past week–it’s mid-week mash-up time, again! 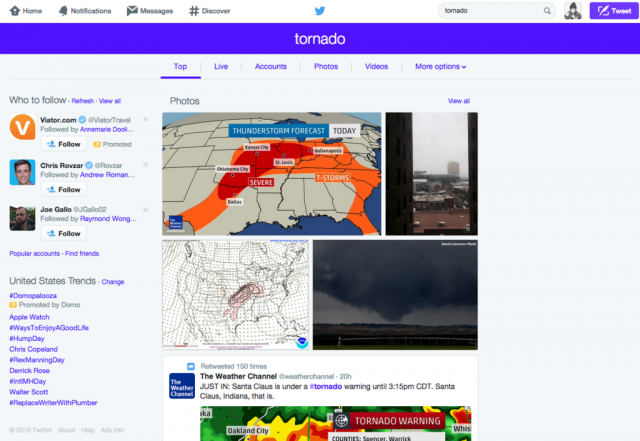 It was recently announced that Twitter is in the process of testing a revamped version of their search feature. While not available to everyone yet at this stage, the new features allow for top tweets, users, photos and videos to be featured under the search option. There is no word, as of yet, on a wider release of the redesign, but stay tuned for this new update on your Twitter page. Not sure about anyone else, but the video recording of a social experiment that took place in Lithuania left such an impression on us, it was impossible not to share this. Proving that it doesn’t necessarily take the intended recipient of bullying and hate speech to feel affected (and in this case inflicted), this powerful experiment involves unsuspecting people to translate a message that leaves several of them unwilling to do so, as the message is too hurtful to relay. Faith in humanity has been restored.